This edition of The Five Count featured an interview with the one and only Jeffrey Combs. Jeffrey is best known for his role as “Dr. 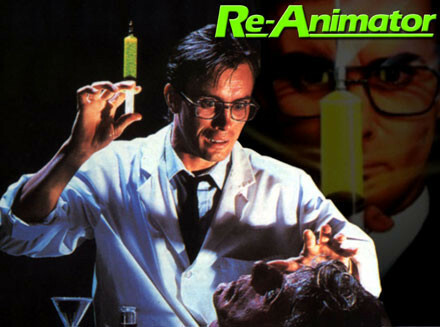 Herbert West “in all three Re-Animator films. He also appeared in films like From Beyond, The Frighteners, and has made countless appearances on various Star Trek episodes. During the show he discussed how he landed the role on Re-Animator, the pros and cons of being known as a superstar in the Star Trek realm, and why it’s not a good idea to get his face tattooed on your body. Our feet were re-animated!